Master Keys books and classes teach life skills to K - 8th that shape kid’s character while encouraging their inner balance. All lessons are value-based and fall under the Master Keys of Kindness, Respect, Gratitude, and Compassion. Master Keys encourages critical thinking, reasoning, problem solving, and introspection. 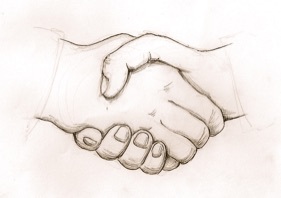 "In my over forty years as a recognized educator, I believe there has never been a more important time to support the development of ethics and manners in children. 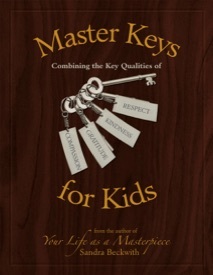 I whole heartedly endorse Master Keys for Kids as a relevant and important tool for parents and educators." All rights reserved. No part of these books, excerpts, illustrations, or web site may be reproduced or transmitted in any form or by any means, electronic or mechanical, including photocopying, recording, or by any storage or retrieval system, without the written permission from Sandra Beckwith, except for the inclusion of quotations in a review. All material is under copyright; disseminating any file in any format other than for the buyer’s own personal use is against the law and prosecutable in a court of law for up to $150,000.